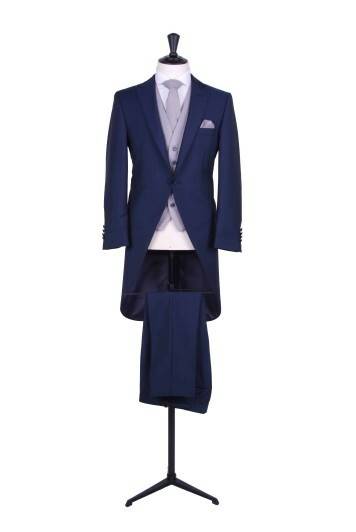 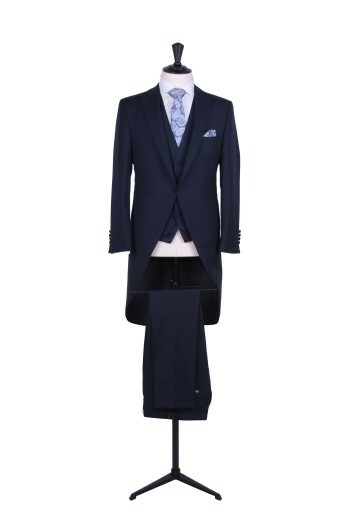 The Anthony slim fit suit hire tails range is made from light weight pure wool or mohair fabrics with classic lines in a contemporary cut. 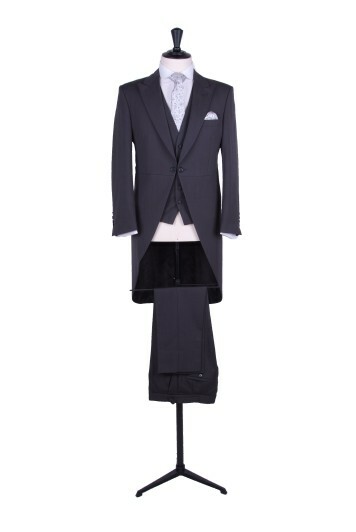 Cut in a slim fit with slim fit trousers can be worn with a classic single or double breasted waistcoat in grey or buff or a matching waistcoat in any of our 6 house styles: single breasted, double breasted, collarless DB, scoop, scollop and DB scoop. 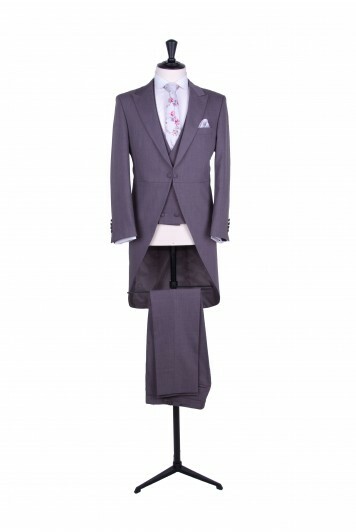 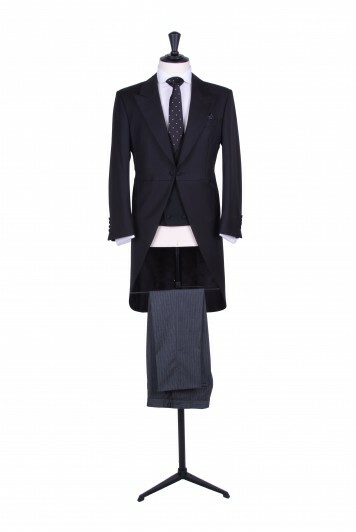 A choice of slim fit matching, stripe, Prince of Wales or dog tooth check trousers are available.